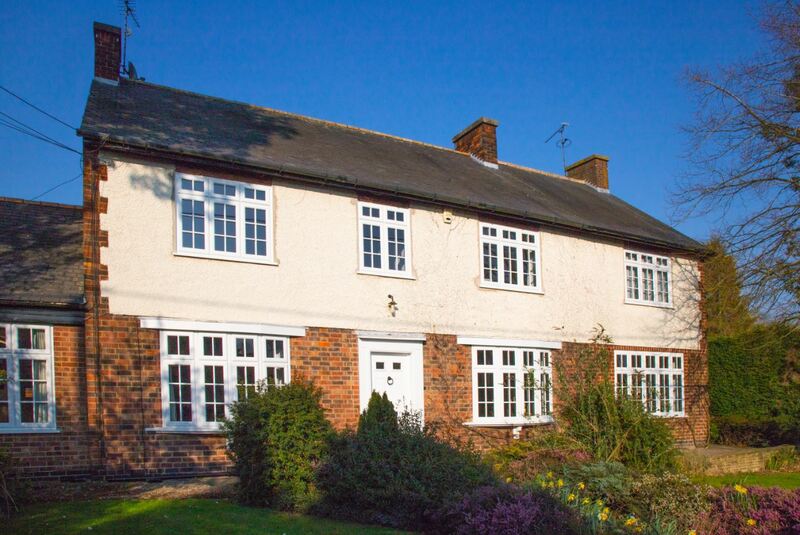 Mr & Mrs Bowley lives in a beautiful Mid Century farmhouse on the outskirts of Melton Mowbray, Leicestershire. Having lived in their home for many years the original wooden door had reached the end of its life. It was time to upgrade. 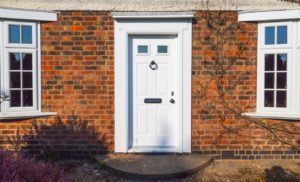 Mr Bowley Comments: The front door was causing an issue as it had begun to crumble and during the winter months the bad weather was getting into the house. We knew that we didn’t want another wooden door as they require a quite a bit of maintenance quite. We did however want to keep the traditional appearance of the timber door. 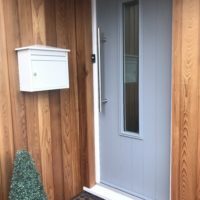 Mr Bowley contacted local window and door Company Kettell Windows who are part of the Solidor National Installer Network and its form there that he was introduced Solidor range of timber core composite doors. 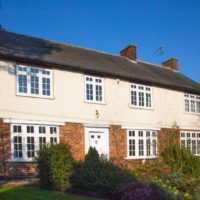 Mr Bowley continues: Kettell Windows suggested that we look at the Solidor range due to its ability to replicate the existing door style as well as being high security & low maintenance. We went for the Tenby 2 in crisp white, however looking at the vast range of colour options I do think that we could possibly have been a bit braver in our choice. Looking at the door installed I know that we made the right decision though. It looks clean, fresh, and it matched well with the newly installed white windows. I’m so pleased that we chose Kettell Windows to work on this project with us. Their customer Service has been excellent. From initial discussions through to the installation and after sales, their team worked tirelessly to ensure that we were well looked after and that mess & disruption were kept to a minimum. I think the choices available from Solidor allow you to make truly bespoke entrance, the whole process has been great from start to finish. I’d definitely recommend both Kettell Windows and Solidor. Two very happy homeowners here!